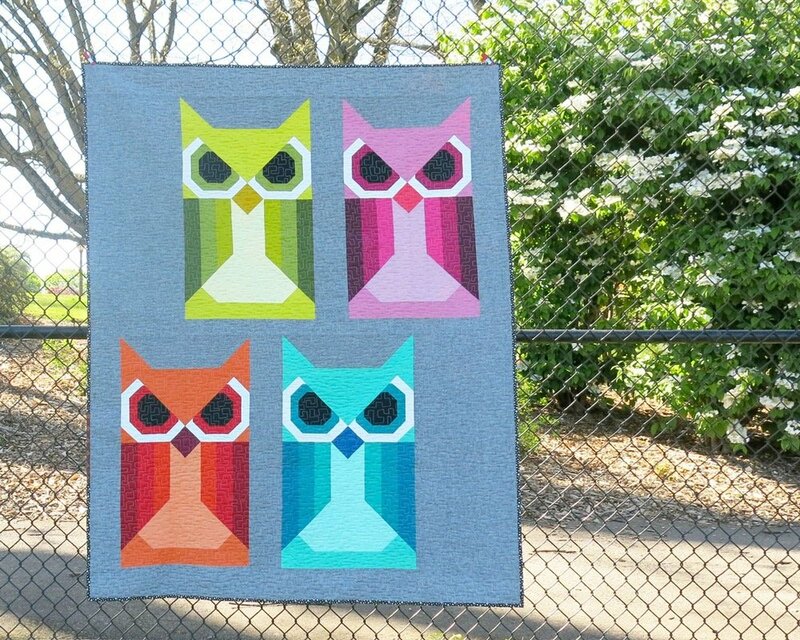 These bold and graphic owls will make a big impact in your next quilt! Make a baby quilt with a single owl block, or stitch up a whole nest for a striking lap or twin bed quilt. This pattern includes instructions for a 32" x 44' Baby Quilt, a 52" x 66" Lap Quilt, and a 68" x 92" Twin Quilt. All of the projects are made using 16" x 28" Allie Owl blocks. Allie Owl is made using conventional piecing methods. No paper piecing or templates are used. You will just need your favorite fabric marking tool. A complete list of the pieces needed for each block is also included, so it's easy to use scraps and/or make blocks to use in other projects.